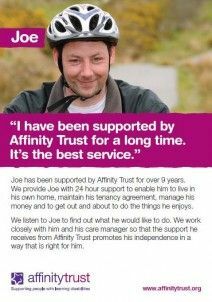 Affinity Trust has several publications available. 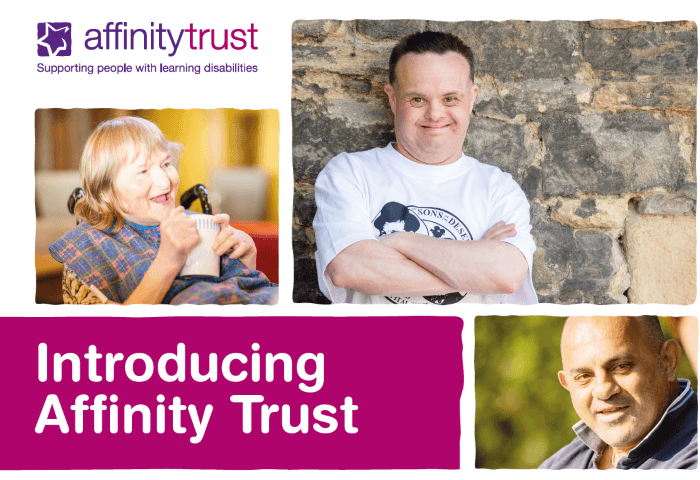 Electronic forms are available below. 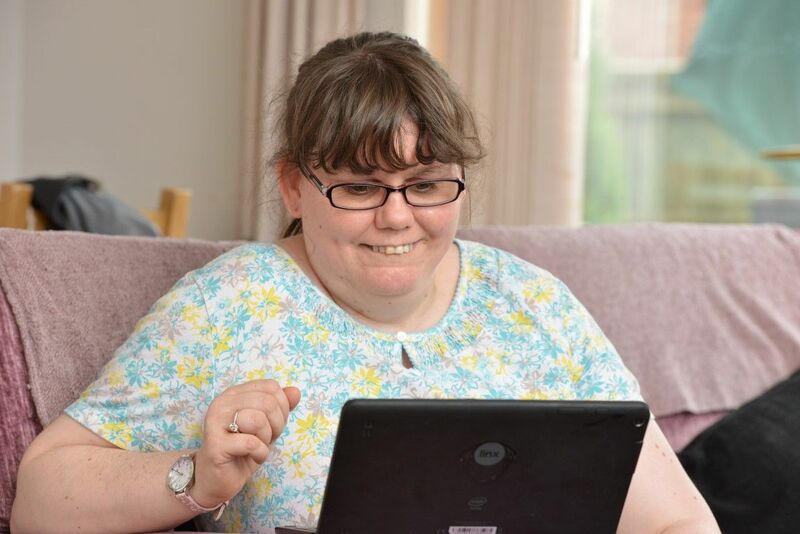 These documents are downloadable as PDFs, so you will need Adobe’s Acrobat Reader installed if you would like to view them. 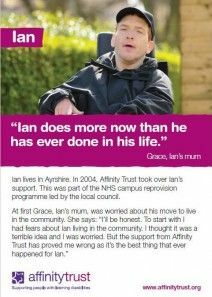 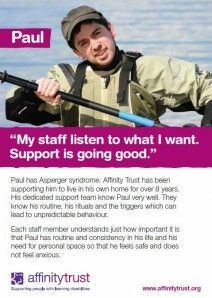 12-page, A4 brochure outlining Affinity Trust's services for adults with learning disabilities. 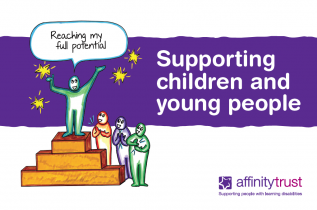 This brochure outlines how we can support children and young people with learning disabilities and autism. 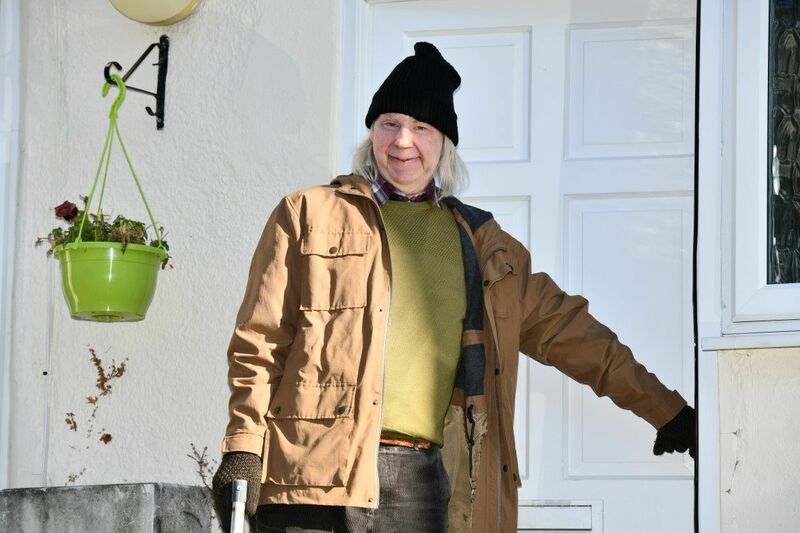 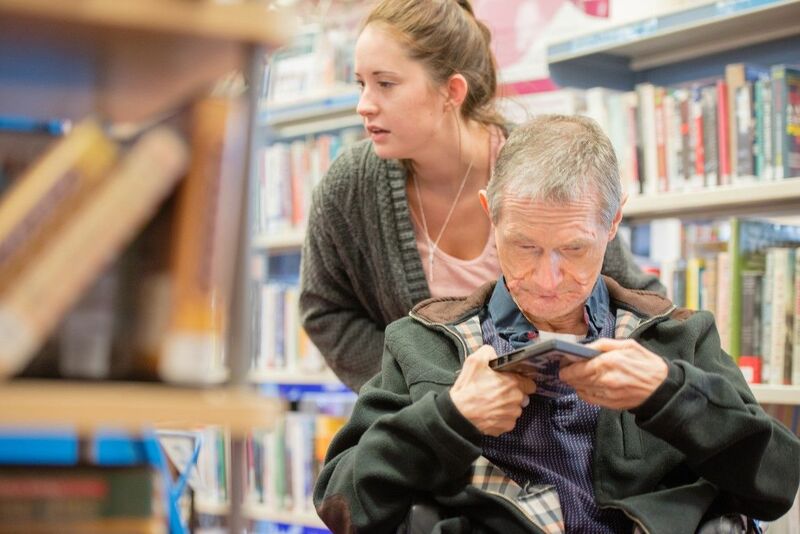 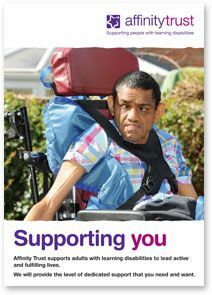 The easy-read leaflet is aimed at people with learning disabilities and explains the ways in which we can offer support.